In the waning days of his current job, Vice President Joe Biden was able to do something he’s never done before – officiate a wedding. Two longtime White House staffers, Brian Mosteller and Joe Mahshie, were married at the vice president’s residence Monday afternoon, according to a White House spokesman. The couple asked Biden to officiate the wedding, and he obtained a temporary certification from the District of Columbia to perform the small ceremony. The wedding ceremony was only attended by the immediate family members of the grooms. 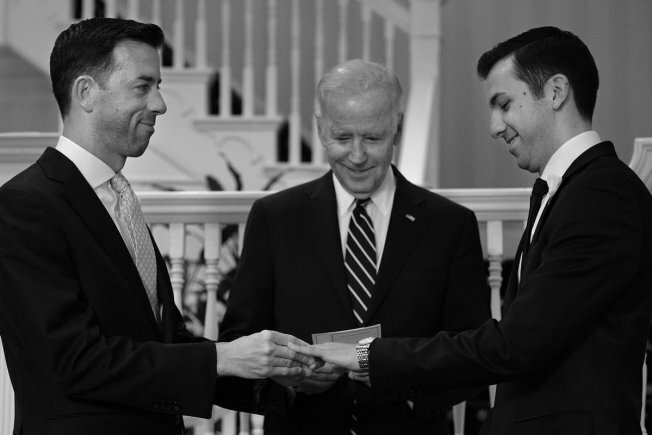 This is the first marriage the vice president has officiated.